This article gives an overview of the most important and significant flying boats and amphibians developed and built by the French aircraft industry. 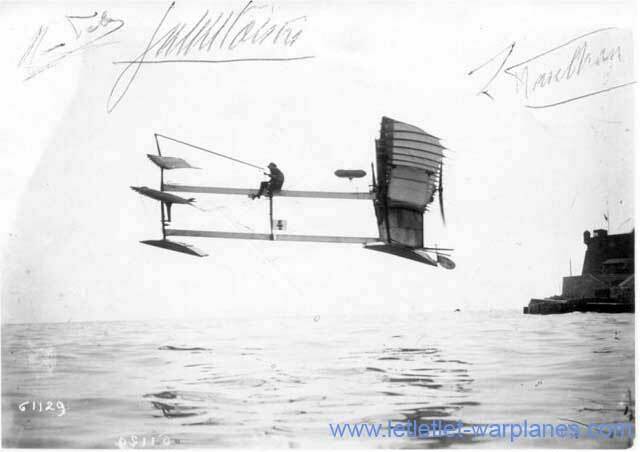 In fact France more or less ‘invented’ the flying boat with the Fabre Hydravion which was flown for the first time on 28 March 1910 from the harbour of Marseille. Pilot on this historic event was Henri Fabre himself, although he had no flight experience at all! However, Fabre’s Hydravion was nothing more than a very flimsy construction without any practical use, although it was in our eyes quite ‘modern’ with its canard layout! 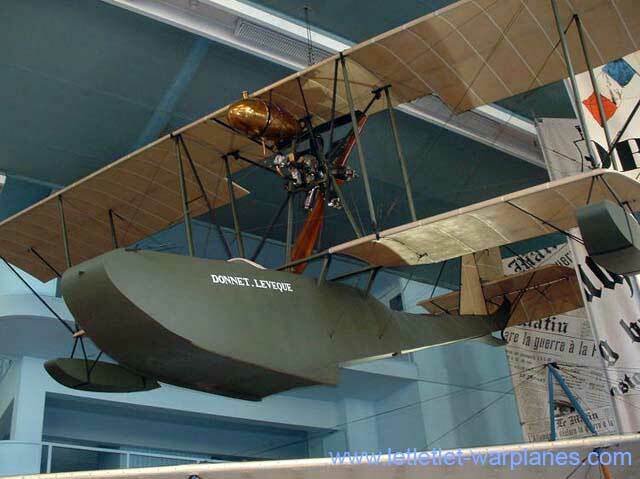 Development went fast, and already two years later we see an operational flying boat in the form of the Donnet-Lévéque. Showing a wooden hull and high-placed wings and engine, and being the first practical flying boat for military use, it shows the shapes of things to come! The type was later further developed by Louis Schreck with his FBA flying boats, which were built and used in considerable numbers by various countries before and during the First World War. Finally the small single seat scout flying boats would evolve into the big multi-engined ‘flying mailboats’- or ‘paquebots volantes’ as the French call them – from the post WW II period as we will see in this historical overview! Latham designed and built at their Caudebec-en-Caux plant in the mid-twenties a 3-seat seaplane bomber as the Latham 45. It was a biplane with a light-alloy hull and wooden wings. The two engines were placed in tandem in a nacelle in the centre of the upper wing, driving two-bladed tractor and pusher propellers. The Latham 45 was in August 1927 flown to an air-show in Copenhagen, making an intermediate stop at Rotterdam harbour. However, no orders were placed and only one single machine was built. It was acquired by the French navy and served for a short period at Cherbourg maritime centre. 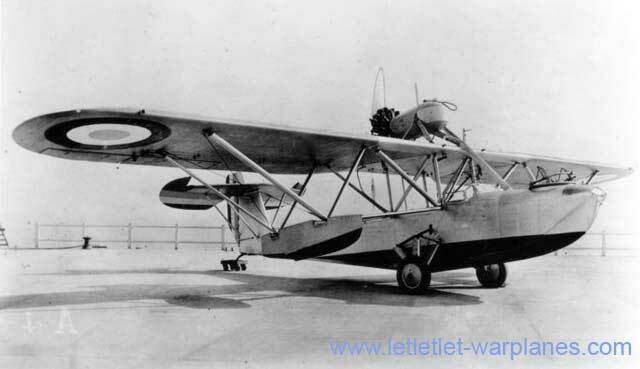 The Atelliers et Chantiers de la Loire designed and built in 1930 a small three-seat amphibian flying boat intended for military communications and training with type designation Loire L.50. It was a parasol monoplane with the engine fitted on struts above the wing centre section. The hull was made of light-alloy. Wings and tailplane were also made of metal with fabric covering. For naval use, the outer wing panels could be folded. The Loire L.50 made its first flight on 7 September 1931 fitted with a 230 hp Salmson 9AB radial air-cooled engine. The L.50 was initially flown without an amphibian landing gear. On 1 October 1931 it sank in shallow water after an accident, but the plane was salvaged and rebuilt. Fitted with a more powerful Hispano-Suiza 9Qd radial engine it was put into service at the French navy. A further six machines with the same engine were ordered and built as Loire L.501. All seven planes were uses at various naval stations for communication duties. During the early months of the war, only one L.501 was still operational. 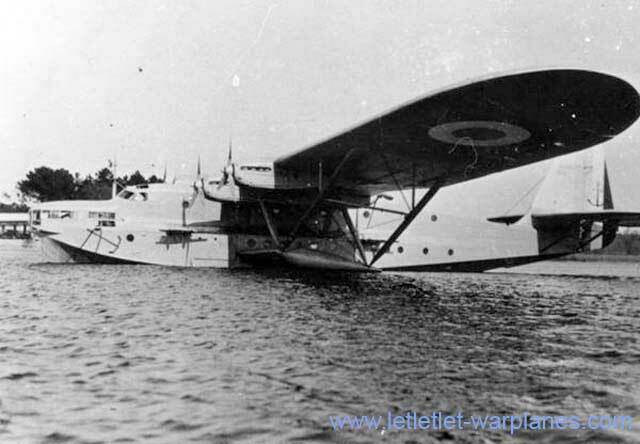 For use as a postal trans-Atlantic flying boat the Latécoère works designed and built their type 300. The Laté 300 was a four-engined flying boat of all-metal construction. As usual in that time the wings and tailplanes were covered with fabric. 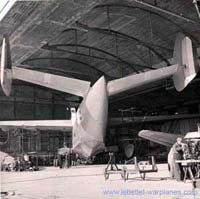 The new postal flying boat was fitted with four in-line engines housed in two engine nacelles at the wing centre section. The engine pairs were mounted in a tandem position driving a tractor and pusher 3-bladed propeller. The parasol-type wing had a large surface and was connected with a number of struts with low-mounted sponsons. The hull was fitted with luxury sleeping and dining accommodation for the crew of four. For trans-ocean flights it could carry in total a load of 1000 kg. The building started on 13 nov 1931 and works ran very quickly as on 17 December of the same year, the plane was ready for water taxiing trials, at the Biscarrosse’s lake. Unfortunatly, the plane took the air by itself then stalled and it crashed into the water, breaking itself in two parts before the coast of Marseille. The plane was recovered, re-engineered to correct the too rearward centre of gravity and have a new design of the step. It was put into service on 31 December 1933 at Air France carrying the new civil registration F-AKGF. and the name ‘Croix du Sud’ . The Laté 300 made a total of 15 transatlantic flights, but vanished without a trace on its last flight on 7 December 1936 with the well-know pilot Jean Mermoz at the controls. Air France had meanwhile ordered an additional three of these large flying boats to expand their transatlantic routes. They were slightly different from the original Laté 300 and received the new type designation Latécoère 301. The first of them made its maiden flight on 23 August 1935 carrying the civil registration F-AIOK and the name ‘Orion’. The other two Laté 301’s carried the registrations and names F- AIOL ‘Eridor’ and F-AIOM ‘Nadir’. When put into service, ‘Orion’ was renamed ‘Ville de Buenos Aires’ while ‘Eridan’ and ‘Nadir’ received the new names ‘Ville de Rio de Janeiro’ and ‘Ville de Santiago du Chili’. F-AIOK was lost on sea a month after it was out into service on the Dakar-Natal route, but the other two were used until the outbreak of the war in 1939. ‘Ville de Rio de Janeiro’ was stocked in an Air France hangar in Dakar, but never flew again (used for spare parts for the 301/302 aircrafts). The remaining ‘Ville de Santiago du Chile’ went into service as the ‘de l’Orza’ at the Escadrille E4 of the Aéronavale in 1939 after military equipment was installed. The Aéronavale ordered another three of these flying boats for long-range ocean patrol service as the Laté 302. For military uses they were fitted with five machine guns and had the possibility to carry a bomb load of 250 kg. The Laté 302 was also fitted with more powerful Hispano-Suiza 12Ydrs2 engines of 930 hp each. They were put into service at Escadrille E4 at Berre naval air station receiving the names ‘Guilbaud’, ‘Cuverville’ and ‘Mouneyrès’. but were mostly based at Dakar. After the German occupation, all flying came to a stop within a year, mainly due to problem with the cover fabrics. The Laté’s were eventually scrapped. Based on the requirements for a small two-seat all-metal observation flying boat with folding wings for shipboard use, Henri Potez designed and built in the early thirties the Potez 450. It was a parasol plane with a carefully designed two-step hull with the engine fitted in a streamlined nacelle fitted with a NACA cowling in the centre of the wing leading edge. Powered by a 230 hp Salmson 9Ab radial air-cooled engine it made its first flight from Berre lake in April 1932. After some small modifications it was delivered to St. Rafael naval airbase for official testing together with a number of competing designs from other companies. Fitted with a more powerful Hispano-Suiza 9Qd engine a small batch of 17 was ordered for operational use as the Potez 452. They were all manufactured at the C.A.M.S. works at Sartrouville. The Potez 452 was used operationally on board of the cruisers Jeanne de Vienne and Lamotte-Piquet. Later they were also stationed on other warships. At the outbreak of the war with Germany, a few of these flying boats were still operational and the last one served even until November 1942. Also the Spanish navy was before the war interested in the Potez 452 which resulted in a manufacturing licence acquired by the Spanish government but eventually none were built. Because the Potez 452 had excellent flying characteristics with a very good manoeuvrability, the Potez team even designed a single-seat shipboard fighter version as the Potez 453. Fitted with a much more powerful engine, the Hispano-Suiza 14Hbs of 720 hp, and two fixed forward firing MAC machine guns of 7.5 mm, it made its first flight on 14 September 1935. The Potez 453 was a very agile machine with for its time a high maximum speed of 318 km/h but in spite of its good performances, it was not further used and only one single prototype was built. Under type number 5190 Louis Blériot designed in the early thirties a large 4-engined flying boat for transatlantic mail transport. Further it could be used with less fuel for passenger transport for flights in the Mediterranean’s. Blériot’s design was quite unusual with a sleek fuselage with a thick pylon for cockpit and crew cabin in the centre section supporting a large strutted wing. The four engines were placed in an unusual position with a central nacelle housing two engines with a pusher and tractor propeller and a further two engines placed on the leading edge of the wings. The Type 5190 made its first flight on 3 August 1933, flown by Lucien Bossoutrot. It was christened with the name Santos-Dumont. 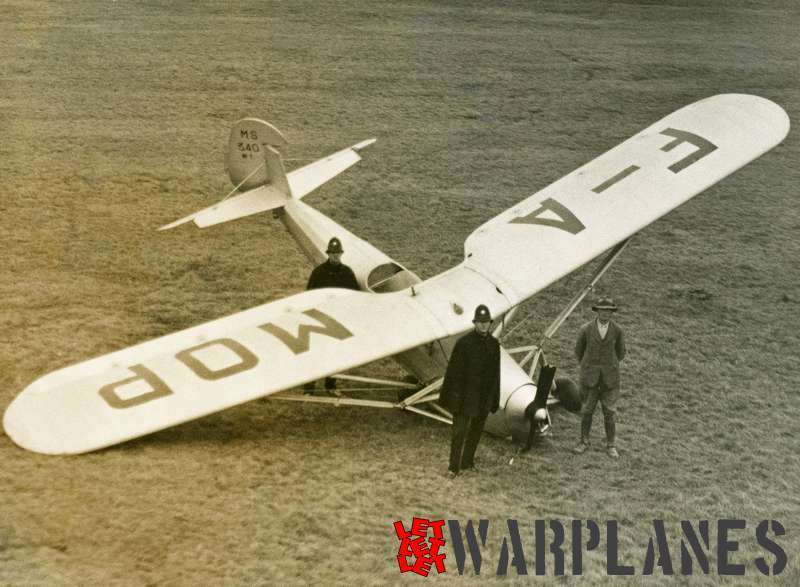 The Blériot 5190 showed to have excellent flight characteristics but in spite of this it was not put onto production and only one was built which was used operationally by Air France for transatlantic mail flights in 1935. Originally three additional 5190’s were ordered, but these machines were suddenly cancelled (without a even a proper explanation from the government!) which finally resulted in the bankruptcy of the Blériot firm. Louis Blériot died on 1 August 1936 because of a heart attack. In total the first machine made over a two year period 38 transatlantic flights carrying the civil registration F-ANLE. The Type 5190 could carry during transatlantic flights a load of only 600 kg with a fuel supply of 8500 kg with a crew of eight. For shorter flights in the Mediterranean it was planned to carry up to 60 passengers, although it was never used for this. Bases on the British Short Calcutta and Rangoon biplane flying boats Breguet constructed the Br.521 Bizerte as a long range flying boat for the French navy. Most striking difference with the Short products was a different tail layout with a large rectangular vertical stabilizer. The all-metal Bizerte was also fitted with engines of French origin. The Br.521.01 made its first flight on 11 September 1933 from Le Havre. After extensive flight testing and after the engines were fitted with new NACA cowlings it was put into service on 1 April 1935 at Cherbourg. The French navy placed several small production orders over the next years with in total 29 supplied including the first one. All the production Bizertes had an extended greenhouse type cockpit compartment running over the full length of the nose where the original nose gun position of the first machine was not further used. After the capitulation of France the Bizerte stayed in service at the Vichy forces. 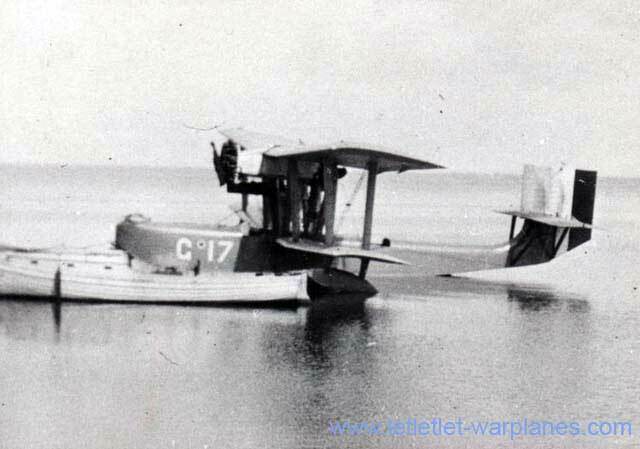 Also the Luftwaffe used a number of Bizerte flying boats for air-sea rescue missions. Bréguet also built a civil variant as the Br.530 Saigon. Two were supplied to Air France as F- AMSV Algérie and F-AMSX Tunisie for use in the Mediterranean. The Saigon was fitted with three 785 hp Hispano-Suiza 12Ybr liquid-cooled V-12 engines and had accommodation for up to 20 passengers with a crew of two. A long-range trans-Atlantic mail-plane version was known as the Dakar, but this was never built. C.A.M.S., or Chantiers Aéro-Maritimes de la Seine was a company based at 75 Avenue des Champs Elysées in Paris and specialised in the design and construction of naval aircraft. One of their products was the C.A.M.S. 36 Schneider Cup racer of 1926. In the early thirties they designed a twin-engined maritime patrol flying boat as the CAMS 110. It featured an all-metal hull with a fully enclosed cockpit section with capacity for a crew of six. Further, it had wooden biplane wings and a centrally placed engine nacelle for two engines driving a tractor and a pushed propeller. The plane was intended to operate autonomously from remote locations. A prototype was constructed, making its first flight in July 1934. Unfortunately it was not ordered for production and only the single prototype was built. Equipment: provision for two machine guns in the nose and another two in a dorsal position behind the wings. Largely based on the earlier two-engine Lioré et Olivier H.24 the larger four-engine H.242 flying boat appeared in 1933 when it made its first flight on 30 March of that year. It was made of mixed construction with a metal fuselage and a wooden wing. The four engines were placed in two tandem nacelles on struts placed on top the wing centre section driving a tractor and pusher propeller. The H.242 featured further a shoulder wing, a high-placed horizontal tailplane and two braced wingfloats. Two H.242’s with c/n 1 and 2 were built for Air France for use on Mediterranean routes, carrying the civil registrations F-AMOU and F- AMUL and the names Ville de Tunis and Ville d’Alger. F-AMOU was lost in a accident, but F-AMUL was used until the Mediterranean services were terminated by Air France. The H.242’s were extensively used by Air France on the routes Marseilles-Alcudia-Algiers; Marseille-Ajaccio-Tunis and Marseille-Athens-Tripoli-Beirut until the remaining machines were taken over by the Luftwaffe in 1942. They flew in general some 70 to 80 hours a month and some aircraft must have flown more than 2000 hours. The Germans seem to have handed over the H.242’s to Italy where they must have flown with military markings and red upper wing surfaces. None of them survived the war. After November 1942, all catapults were removed from the warships to make place for additional anti-aircraft guns and the role of the Loire 130 was changed into that of coastal patrol. Some Loire 130’s even survived the war and were used operationally until the late fourties! One Loire 130 was confiscated by the Germans to test its suitability for use by German forces. It was ferried in Luftwaffe markings BI # XA from St. Nazaire to Travemünde by Uffz. Helmut Steckel. The ferrying took place between 17 March 1941 and 10 April 1941, covering the route St. Nazaire-Brest South- Boulogne-Amsterdam-Travemünde. On 15 July 1941 it was test-flown at E-Stelle Travemünde by Flugkapt. Mlodoch. It was also test-flown by Leut. Paul Metges but because of quick overheating of the engine during taxiing, it was found to be unsuitable. The exact identity of this Loire 130 is not known, but most likely it was a machine taken over from the St. Nazaire repair works. Equipment: two Darne 7.5 mm machine guns and provision for two bombs of 75 kg. In 1930 Latécoère designed a four-engined trans-Atlantic flying boat for passenger transport as the Laté 520. It was planned with the Hispano-Suiza HS 18 Sbr engines of 1000 hp each, but because Hispano Suiza terminated the development of this engine Latécoère was now more or less forces to use six lower rated engines. The new six-engined flying boat received the type designation 521 as an all-metal plane with a large shoulder wing that was connected with struts to low-placed sponsons. Four engines were housed in the wing centre section in two tandem nacelles driving tractor and pusher propellers. The last two engines were fitted in wing leading edge nacelles. The Laté 521 made its first flight in January 1935. It was named Lieutenant de Vaisseau Paris and could carry 30 passengers on trans-Atlantic flights. On shorter flights in the Mediterranean area it could carry up to 70 passengers. The single Laté 521 was put into service by Air France, but on 24 January 1936 it was hit by a hurricane during a visit at Pensacola USA and turned upside-down in the sea. It was salvaged and completely rebuilt. Carrying the civil registration F-NORD it was put into service again in May 1937. 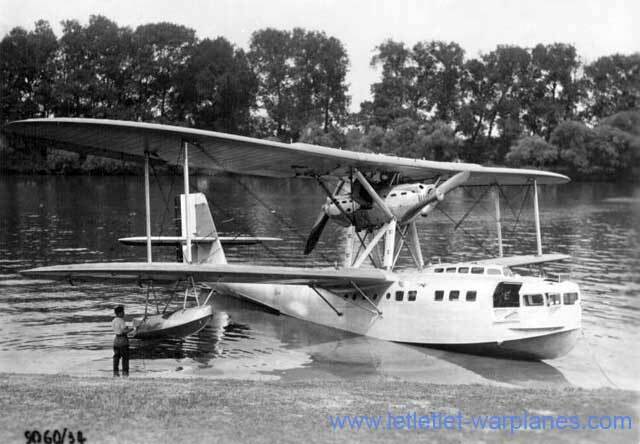 The Laté 521 was found to be a very good and durable seaplane which was clearly showed when it established a new seaplane record for distance when it covered over the period 1-2 November 1937 a distance of 5800 km in 34 hours and 37 minutes. In December 1937 it set a number of additional records for seaplanes on speed-to-load and load-to-altitude. 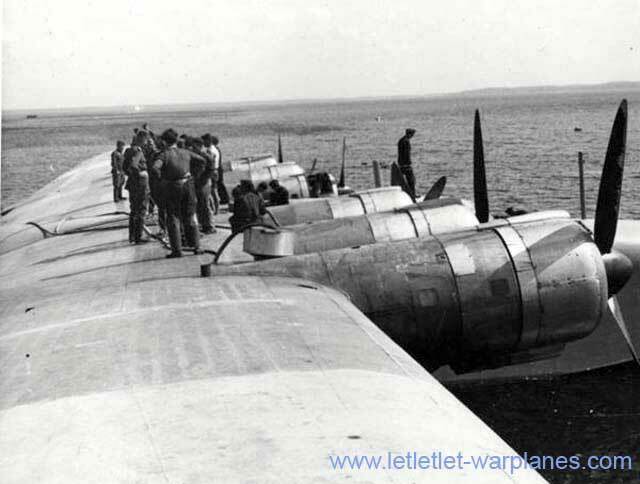 At the outbreak of the war the Laté was put into service by the Aéronavale at Escadrille E6 where it was used for Atlantic patrol missions until August 1940. Later it was damaged beyond repair in August 1944 by retreating German troops. Based on the relative success of the Laté 521, the Ministry of Aviation ordered a second Latécoère flying boat for the transatlantic routes. Fitted with more powerful engines and a redesigned nose it made its first flight on 20 April 1939 carrying the civil registration F-ARAP and the name ‘Ville de Saint-Pierre’. It was impressed for use by the Aeronavale, but in March 1942 it was returned to Air France for civil use. Just like the Laté 521, it was damaged beyond repair in August 1944 by retreating German forces. For the Aéronavale an additional three militarised versions were ordered as the Laté 523. The first Laté 523 made its maiden flight on 20 January 1938. The three Laté 523’s were named ‘Altair’, ‘Algol’ and ‘Aldebaran’. All three machines served at Escadrille E6 for maritime patrol duties. ‘Algol’ made a forced landing during a patrol mission on 18 September 1939 and had to be sunk by gunfire. The two remaining 523’s were used operationally until they were unserviceable in 1942. Being a part of the Société Nationale de Constructions Aéronautiques de l’Ouest, the Loire-Nieuport group was well known for its series of military aircraft (although produced in limited numbers!). In the early thirties Loire designed and build a new flying boat with type number 102 that could traverse the Atlantic Ocean with a limited number of passengers (4 only) or that could be used for shorter distances in the Mediterranean area with a capacity of 26-30 passengers. Constructed of light-alloy, with a strutted single shoulder wing and double vertical tail surfaces, it was quite modern for its time with the four engines places in two pods on the centre wing section. The first flight of the Loire 102 was made on 12 May 1936. It was intended to be operated by Air France, but finally it was never ordered and only a single prototype was built carrying the civil registration F-AOVV. The name ‘Bretagne’ was carried on the bow of the hull. During test flights excessive vibration was encountered that was never solved in spite of many constructional changes and the plane never received it certificate of navigation! Based on Ministère de l’Air requirements for a fast flying boat for transport of mail and passengers on the African Dakar-Natal South Atlantic route the Lioré et Olivier works designed in 1934 a very advanced all-metal flying boat under the type designation H.47. It was a design with a parasol wing housing four engines in two centre-wing nacelles each driving a tractor and pusher propeller. Extreme care was taken in aerodynamic properties of the wing surface/engine installation and hydrodynamic properties of the fuselage. Both were designed separately by M. Mercier and M. Benoit, respectively. The prototype was built in the Argenteuil plant and final assembly for flight testing took place in Antibes. The first flight of the LeO H.47 took place on 25 July 1936. During the test flight program the H.47 fulfilled all expectations on performances and handling and on 1 March 1937 Air France placed an order for five additional machines. However, on 19 May 1937 the plane sank after a structural failure of the hull. The production model for Air France, designated as H.470, was built in the Sud-Est works at Vitrolles and the first one made its maiden flight on 23 July 1938. 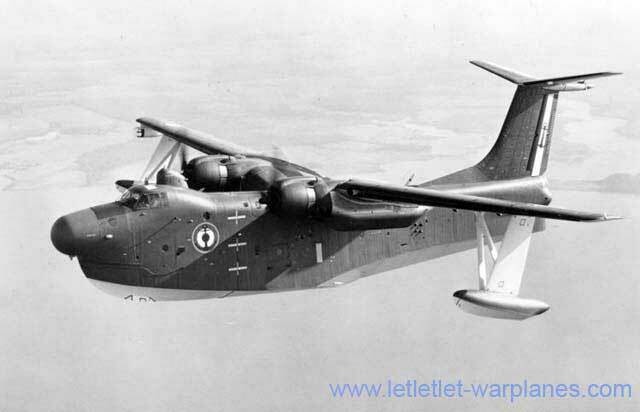 At the outbreak of the war it still was under testing and, together with the four other machine still under construction, it was taken over by the Aéronavale as a long-range maritime patrol flying boat. The H.470.01 flew originally in more or less the same configuration as the first H.47, but it was soon militarised with armament, provision for a bomb load and a glazed nose section. The H.470 was fitted with four 7.5 mm Darne machine guns on flexible mountings in the fuselage with provision of four bombs of 150 kg All other four H-470’s were of course also fitted with military equipment. The H.470’s were used for military purposes at the naval Escadrilles 11E and 9E, but lack of spared resulted eventually in a short operational career. The last H.470 was scrapped in 1943. To meet the requirements of 1935 for a flying boat for use in the Mediterranean the Lioré & Olivier works designated and built under the type designation H.246 a 4-engined flying boat with a metal hull and a wooden wing. Layout and construction was for that time advanced with a high wing, four engines fitted in the wing leading edge and two spanned fixed wing floats. 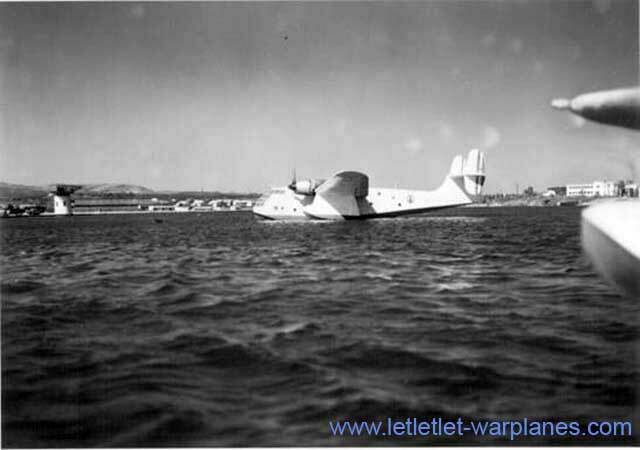 The new flying boat made its first flight from the Berre lake on 30 September 1937. Although the flight trials were not yet completed Air France ordered on 31 January 1938 six production models known as the H.246.1. The prototype H.246 was severely damaged during rough water trials in January 1939. After this accident the hull was strengthened and the plane was later used by Air France on the same routes as the other operational machines. The assigned civil registration of the first plane was F-AOUJ and the name it carried was Maroc. F-AREK was impressed for military service at the Aeronavale and never carried any name, but the other five were used by Air France on the Marseille-Algiers route until November 1942. Four of the H.426.1’s were confiscated by the Germans and used as military transport flying boats. Also the navalized and armed F-AREK fell into German hands. It was eventually destroyed during an allied air raid near Lyon in the spring of 1944. Only F-AREJ and F-ATEL survived the war. They were used by Air France until September 1946, having logged some 1000-1500 flying hours. Equipment: accommodation for 14 passengers. The militarised version had an armament of four 7.5 mm Darne machine guns in the fuselage with provision to carry four bombs of 150 kg. Based on an earlier design that was never built, the Br.710, the Breguet works started in the mid-thirties with the design and construction of a modern all-metal high-wing flying boat intended for transport and long-range patrol duties. Designated as the Br.730 it was a very advanced design fitted with four engines, a single wing and a twin vertical fins with a very characteristic glasshouse-type cockpit canopy of the same type that was also used on the Bizerte flying boat. The Br.730 made its first flight on 4 April 1938 at Le Havre, but a few months later it sank with a ripped open fuselage after a landing accident in shallow water. It was salvaged and eventually rebuilt with a completely new hull. In spite of this accident the French government ordered four production machines, but the outbreak of the second world war prevented operational service. Under the Vichy government production was very slowly resumed, although none were completed during the wartime and several hulls under construction were damaged during air raids. After the war the first Br.730 was put into service as the Vega at Flotille 9FTr. Three other machines were also completed for the Aéronavale. Fitted with more powerful engines and a more conventional cockpit glazing they were put into service as the Altair, the Bellatrix and the Sirius under the new type designation Br.731. The three Br.731’s were operational at Escadrille 33S. The Vega crashed in December 1948; all three other Br.731’s were finally scrapped when put out of service. To meet a specification issued on 10 May 1935 for a well-armed maritime patrol flying boat Latécoère designed the type 610 for this purpose. Early 1936 one prototype was ordered, but because of changes in the original specifications it was extensively redesigned as the Laté 611. 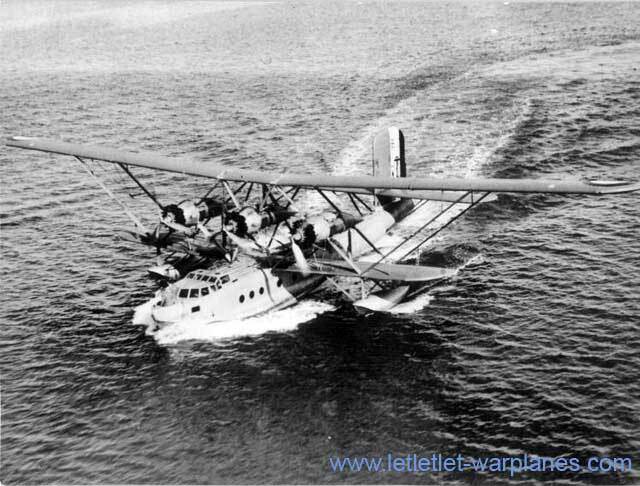 The Laté 611 was for its time a very modern-looking design of all-metal construction with retractable wing-floats in more or less the same class as the British Sunderland flying boat. Construction was started in Toulouse with final assembly at Biscarrosse and the plane was ready for its first water trials on 2 March 1939. First flight was made on 1 July 1939. 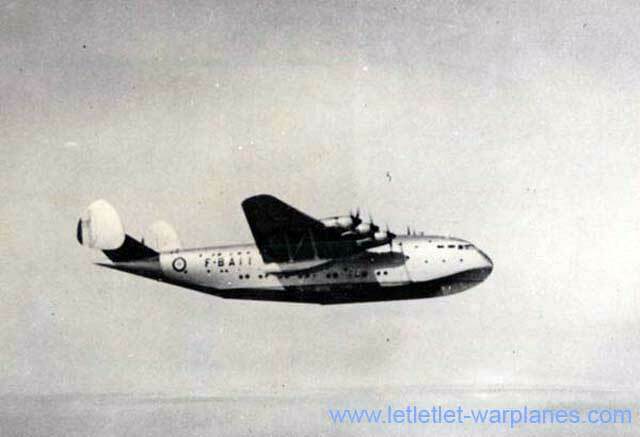 The Laté 611 went through a cumbersome flight test period with a number of modifications made before it was handed over to the Aéronavale on 12 April 1940. It carried the name ‘Achernar’. It was flown over to Africa where under the terms of the armistice with Germany all armament was removed. After some damage it was flown back to France for repair work. 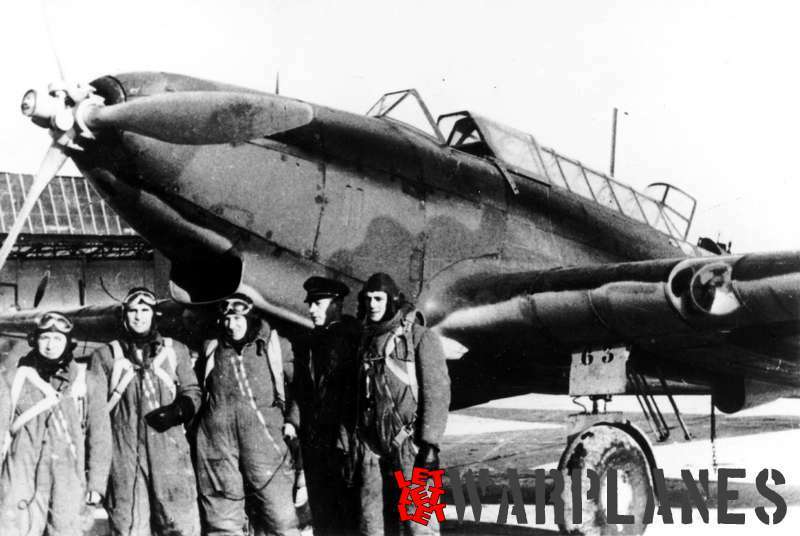 After repairs were completed it was soon damaged again and it was not before October 1941 that it was flying again. It served at the Aéronavale until after the end of the war. It was finally grounded in February 1947 after having logged in total 1600 hours. Only one was built, although the French government initially placed an order of ten examples. Equipment: 4 Darne 7.5 mm machine guns in lateral positions, 2 Browning 12.7 mm machine guns in a dorsal turret and 1 12.7 mm machine gun in the tail. Provision for a total bomb load of 800 kg. Based on a specification issued in 1937 for a small patrol flying boat for coastal reconnaissance Bréguet designed and built the Br.790 Nautilus. The Br.790 had a light alloy hull and a two-spar shoulder-wing covered with fabric. The engine was placed on struts above the hull centre section driving a three-bladed pusher propeller. In 1938 an order for two prototypes was placed. The first one was completed and flown in the summer of 1939 at Biscarrosse. After initial trials the forward fuselage was extended with some 30 cm and official evaluation trials were started at Saint Raphael in February 1940. Bases on these trials an order for 75 machines was placed, but this was later changed into 45 planes only. The second prototype flew for the first time in January 1940 at Biscarrosse. Production of the series Br.970 never materialized because of the German occupation and the final fate of the two prototypes is unclear. Intended as a large trans-ocean ‘flagship’ for Air France, Latécoère designed in 1938 the Laté 631. It was for that time a huge ship fitted with six engines. It was intended for trans-Atlantic mail delivery and for luxury transport of (rich!) passengers. Work commenced shortly before the outbreak of the war and after the armistice with Germany the Latécoère works were allowed to finish the construction under the Vichy government. First flight took place on 4 November 1942, but the trials in France were halted when Germany confiscated it. The Laté 631 prototype, carrying the civil registration F-BAHG, was flown to Friedrichshafen in Germany. It was the intention to use it as a long-range patrol flying boat fitted with military equipment, but on 17 April 1944 it was destroyed at its moorings on Lake Constance during an Allied Mosquito raid and in total it only logged 40 flying hours. The second 631 was meanwhile completed in 1943 in the Toulouse plant. To prevent it from being destroyed in an air-raid it was dismantled and hidden. After the liberation of France the construction was completed and it made its first flight on 6 March 1945 at Biscarosse. Carrying the registration F-BANT and named ‘Lionel de Marmier’ it went to Air France for use in the African French colonies. After the war another nine were ordered and built for use by Air France carrying the civil registrations F-BANU, F-BDRA, F-BDRB, F-BDRC, F-BDRD, F-BDRE, F-WDRF and F-WDRG. The ninth and last machine would have been registered F-WRDH but it was never flown. The Laté 631 did not have a very lucky career. F-BANU crashed on 28 March 1950 killing all ten occupants on board. Another fatal crash took place with F-BRDC on 1 August 1948 with the loss of 12 crewmen and 40 passengers. Also F-BDRD crashed on 21 February 1948 with the loss of the crew of seven and 12 passengers. 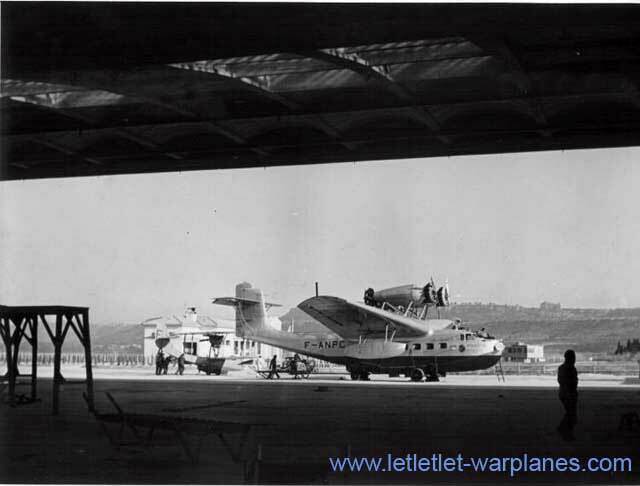 With the loss of the fourth machine, F- BRDE on 10 September 1955 all other Laté 631’s were grounded and stored at Biscarosse inside a hangar. They were all severely damaged when the hangar collapsed during a storm and finally they were all scrapped. The Laté 631 was the last airplane built by the Latécoère company. Based on the same specifications that resulted in the Latécoère 611 and the Breguet 730 flying boats, also the Potez-C.A.M.S. works designed and built a prototype for a modern long-range maritime patrol flying boat for the Aeronavale. Under the type designation no.141 and named ‘Antares’ the 4-engine flying boat prototype made its first flight on 21 January 1938. A production order for initially 31, later reduced to 11 machines was placed, but because of the outbreak of the war production never materialized. The single Potez-C.A.M.S. 141 served operationally until 1943 when it was scrapped, but during it’s career it even managed to sink a German U-boat! Henri Potez had much more ambitious plans for a larger civil development of the elegant-looking no. 141. Under the type designation no.161 a large 6-engine trans-ocean flying boat for Air France was designed along the same lines as the Latécoère 631 and the Sud-Est SE.200. To test the aero- and hydrodynamic properties of the new large flying boat a 1:2.6 flying scale model was built as the Potez-C.A.M.S 160. Powered by six four-cylinder inverted air-cooled Train 4A-01 engines of 40 hp each this flying scale model with its wing span of 17.69 m made its first flight on 20 June 1938. Flight testing was so promising that the construction of the type 161 was soon commenced. At the time of the German invasion and the capitulation of France it was not yet ready, but under the terms of the armistice the type 161 was completed with civil markings F-BAOV. However, by the time the first flight testing was started it carried the German military markings VE # VW. First flight was made on 20 March 1942 from the Seine river near Sartrouville by the French pilot Maurice Hurel. After the completion of the initial trials it was ferried to Lake Constance where it was eventually destroyed during an allied air raid together with the Latécoère 631/01 and the SE.200.1. 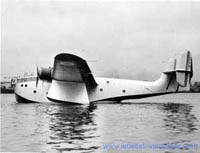 Based on the same specifications as the Potez-CAMS 161 for a large trans-ocean flying boat for Air France, the Loiré et Olivier works started in 1936 with the design of a similar six-engine large flying boat under the designation H-49 with the name Amphitrite. After the nationalization of the LeO works as S.N.C.A.S.E. (Société Nationale de Constructions Aéronautiques du Sud-Est), the H-49 was re-designated as the SE-200. Just like the Potez-CAMS 161 it was a modern all-metal flying boat fitted with six of the most powerful engines available. The SE-200 had a twin vertical tail layout and two fixed wingfloats with a double deck inside the hull for accommodation of up to 40 passengers and a crew of 8.The French government ordered in 1938 four SE-200’s for the Air France transatlantic route, but when the war broke out none of these were completed at the Marignanne works near Marseille. After the armistice construction on all machines was continued. The SE-200.01 made its first flight on 11 December 1942 from lake Berre with the civil registration F-BAHE. It was named Rochambeau, although it is not certain this name was ever carried on the fuselage nose. The SE-200.01 was confiscated by the Germans and later ferried to Friedrichshafen carrying German Luftwaffe markings 2D # UT. On 17 January 1944 it was destroyed during an allied air raid. when moored on Lake Constance together with the Potez-CAMS 161 and the Laté 631.01. The second and third machine were damaged during an attack on the Marignanne works. After the war the SE-200.03 was salvaged, repaired and completed. It made its first flight on 2 April 1946 with the civil registration F-BAIY and was tested for the French navy until it made a less fortunate landing on 18 October 1949. The engines were dismantled and it was displayed at Marignane until it was scrapped in 1963. SE-200.02, completed for ca. 80% during the air raid, was never rebuilt. Also SE-200.04, completed for ca. 70%, was never completed and sold as scrap in 1950. A fifth SE-200, ordered shortly after the initial order of four, was completed for only 10% when it was destroyed during the air raid. The Société des Constructions Aéronavales or SCAN was a small company based at La Rochelle. During the early war years a small all-metal flying boat trainer was designed by the SCAN constructor Bernard Devèze. Although the construction of this small flying boat, designated as the SCAN 20, took mainly place during the war years, the prototype made its first flight after the war on 6 October 1945. The SCAN 20 was a four-place trainer with an engine mounted on struts above the fuselage centre driving a 3-bladed pusher propeller. Further, it was fitted with a shoulder wing and a twin vertical tail arrangement. The French navy ordered a small batch of 23 production machines fitted with a Potez 8D30 engine of 450 hp. Operational history of the SCAN 20 is quite obscure and even the total number of aircraft actually built and delivered is unclear. More information is welcome! 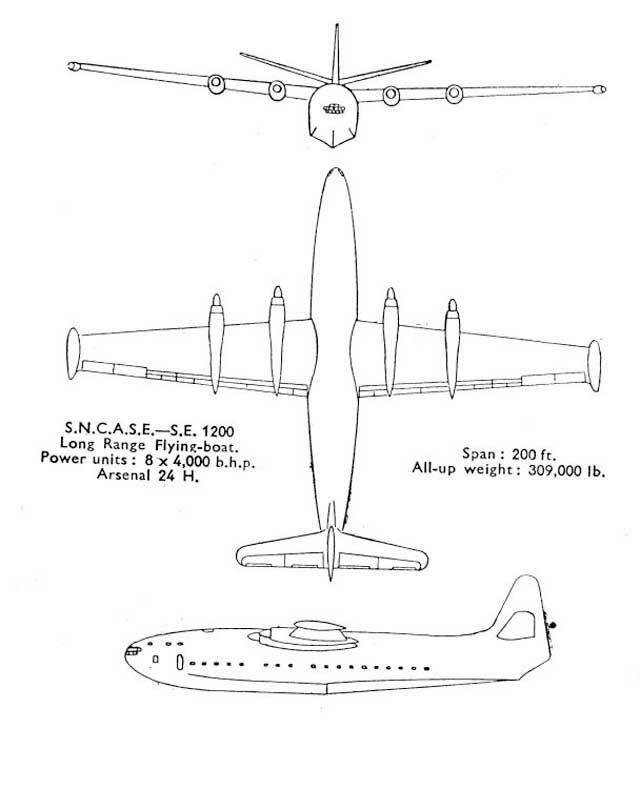 After the SE-200.03 was completed and flown at the end of the war, Sud-Est engineers decided to design and build an even larger flying boat as the SE-1200. This type was a very large plane with a wing span of 61 metres and an all-up weight of 140 tonnes. In size and weight it was more or less equivalent with the British Saunders-Roe Princess. Power plants for the prototype were eight tandem-placed Arsenal 24H liquid-cooled engines of 4000 hp each in four engine nacelles driving contra-rotating propellers. The shoulder wing design was planned with wing floats that could be retracted at the wing tips. Production models were planned with eight Armstrong Siddeley Python turboprop engines, giving the plane an estimated cruising speed of 700 km/h. In 1947 a mock-up of the nose section was shown to reporters of the magazine The Aeroplane, but eventually the SE-1200 was never built. However, a wooden 1/3 manned flying scale model fitted with four Renault engines was built and actually flown as the SE-1210; making its flight on June 1948 with the civil registration F-WEPI. 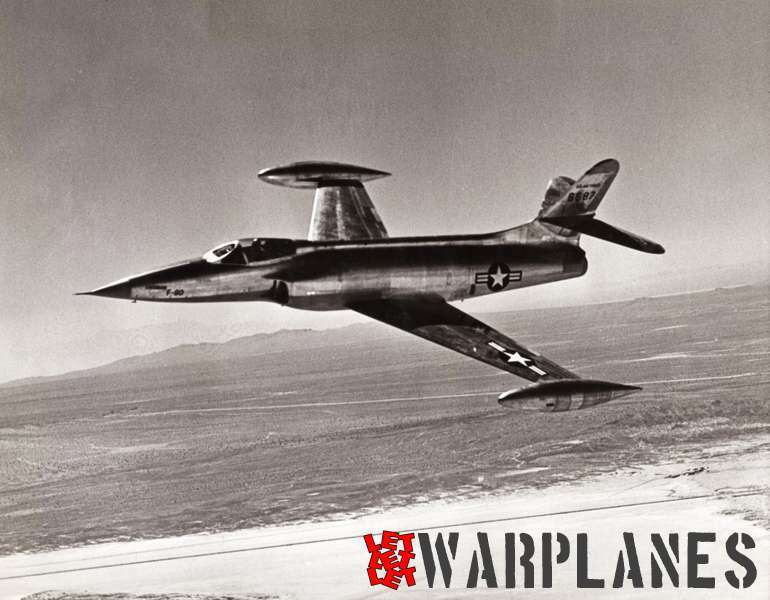 Although the SE-1210 showed to have in general good handling characteristics, both in the air and on the water, flying was abandoned once the SE-1200 was cancelled and the aircraft was scrapped in 1953. When after the war the Société Nationale de Construction de Nord or S.N.C.A.N. took over the Bréguet factory at Le Havre and the former CAMS flying boat plant at Sartrouville this company had the most expertise in flying boat design and construction. When the operational Do-24 and Catalina flying boats had to be replaced, Nord was a logical choice as a company to design and build a successor. This successor owed much of its design to the earlier Potez-CAMS 141 flying boat, although it was fitted with only two engines. 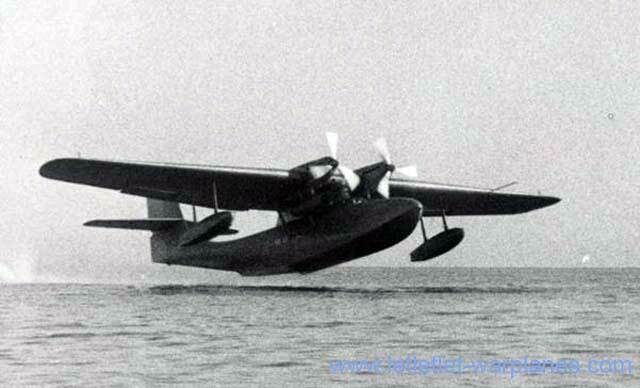 The new Nord flying boat was designated as the Nord 1400 and named Noroit. 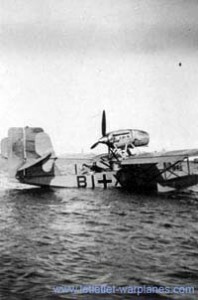 The hull was very similar to the one of the Potez-CAMS 141, while the wings showed an inverted gull layout with fixed wing-floats. Further, it had a characteristic high-placed tails with triple fins. The first Nord 1400, carrying the civil registration F-WFDL, made its first flight on 16 January 1949 fitted with two Gnome-Rhone 14R25 radial air-cooled engines of 1600 hp each.. The second prototype, designated as the Nord 1401, was made as an amphibian with retractable main wheels and a tail wheel. It made its first flight on 6 April1949 fitted with two Bristol Hercules 100 engines of 1540 hp each, carrying the civil registration F-WFKU. The third prototype was also an amphibian fitted with two Arsenal 12H liquid-cooled engines. This engine was in fact a Junkers Jumo 213A engine, complete with its characteristic annular cooler as used earlier on German types like the FW-190D. The final fourth amphibian prototype , the Nord 1402 F-WFRP, was also fitted with this engine as were the production models. Strangely enough, the fifth prototype, the Nord 1402.02, was fitted for unexplained reasons with Bristol Hercules engines again! In total a further 20 production models Nord 1402 were built and delivered to the Aeronavale. Production was completed in 1953 and the aircraft served at Escadrille 5F, but only for a short time. The operational use was quite troublesome because the main wheel undercarriage added so much extra weight that performances were impaired. Because the wheels were made of a magnesium alloy, they suffered from corrosion by seawater and because of this amphibian operations were stopped. At a later stage, the wheel undercarriage was even removed from all machines! After one of the Noroits crashed it was soon withdrawn from operational status and all but one were scrapped. The surviving Noroit was stored St. Rafael naval airbase until December 1954 when a flood-wave caused by a broken dam took it to a parking lot many kilometres away! It was so damaged that it was also scrapped. The lucky part of this story is that during its involuntary last trip two people managed to hold themselves on the wing-float struts and escaped drowning! Equipment: six 20 mm canons; two in the nose, two in a tail turret and one each at side fuselage positions. a weapon bay for bombs and depth charges was housed in the engine nacelles. After the construction of the SCAN 20 was terminated, this small firm introduced for both civil and governmental use an all-metal small amphibian flying boat as the SCAN 30. The SCAN 30 had a very close resemblance to the US Grumman Widgeon. This was not by accident, but purposely since SCAN had acquired the licence construction rights for this American type for production in their La Rochelle plant. The SCAN 30 was offered with various type of engines as demanded by the customer. The SCAN 30 prototype F-WFDM made its maiden flight on 14 May 1953 fitted with Gipsy Queen II engines. In total SCAN manufactured a batch of 41 of this versatile small amphibian. They were delivered to various world-wide customers but most of these were in fact directly exported to the United States. It is possible that some of them are still flying around, most likely as a ‘Grumman Widgeon’. After production of the SCAN 30 was terminated, the company was not further involved in aircraft construction, but in the construction of boats. Even in 1976 two flying boat airframes were auctioned by SCAN as scrap and most likely these were SCAN 30’s and they could have been the never-sold c/n 17 and c/n 18! This overview of French flying boats is not intended to be a complete history of ALL French flying boats ever built! In fact, dozens of types manufactures by various French companies are not mentioned. However, the most important and in particular the most spectacular French types as described! In general we can only conclude that all types of flying boats and amphibians built in France we far from commercially successful and were mostly built in very small numbers! It is ironic that the last flying boat in service of the French navy was an American type; the Martin Marlin! It is even more ironic that this American type replaced a British type: the Short Sunderland. 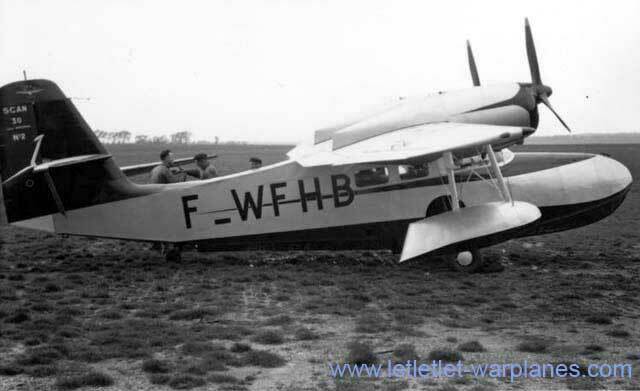 I’m somewhat puzzled that,in your site,you are quoting a Scan30 amphibian as having been given the F-BFHH french regisration,just because the F-BFHH is my Piper PA-18/95,Serial#51-15537,ex mil L18C,registered on the civil board around 1964.I may be wrong,but it seems to me that the french DGAC (FAA equiv.) doesn’t give twice the same registration to aircrafts. JP Contal,Valloire,France,retired Air Traffic Controller,moutain/glacier pilot. Wonderful work on the flying boats. I haven’t seen better anywhere on the web. In aug.1927 four seaplanes flew from Cherbourg to Danmark. 1x Latham 45, 1x Cams 51, 1x Cams 37A, 1x Farman Goliath. They refueled at vliegkamp de Mok, Texel. So I’m sure the Latham has been photographed at Texel, recognizing the direction, and the dunes at the background.